Last summer I bought the Fancy Pants Beach Bum kit, but I never did anything with the rub-ons. Since I have lots of thank you notes to make for my students, I thought I'd try using one of them. 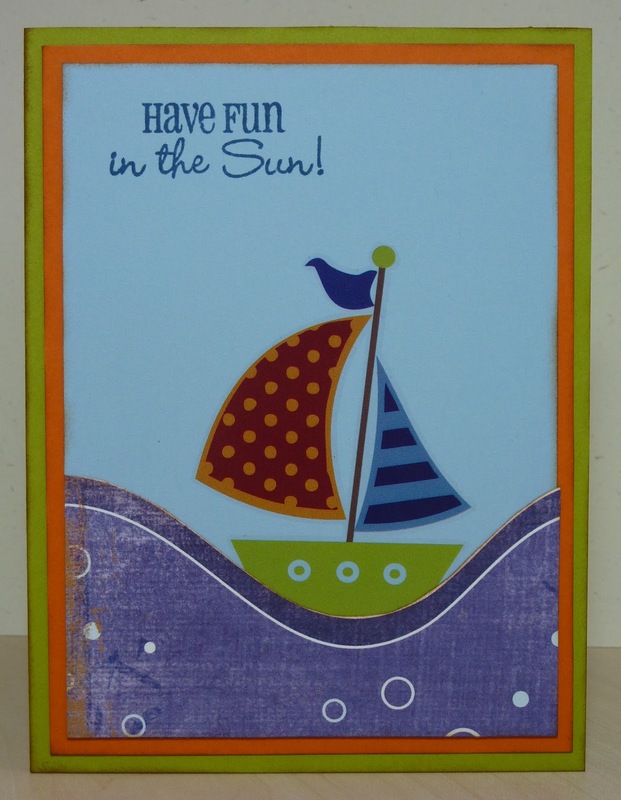 This was a quick card! I cut the wave out of a piece of patterned paper from the collection. I love the bright colors of the rub-on, and it was so easy! I really have to use those more often! 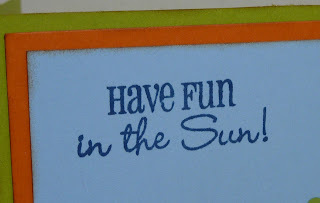 This sweet sentiment from My Creative Time's Have Fun in the Sun stamp set was the perfect touch. Very nice! Love the boat! Katie ~ quick but TOTALLY CUTE! I knew that paper for the wave looked familiar but I had no idea they had rub ons that came with it! 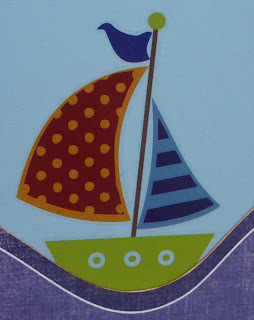 I LOVE that little boat! The sentiment is just PERFECT for this card too! ooh this is so cute! I love that rub-ons are so quick and easy! Cute card...so summery and I love the colors!